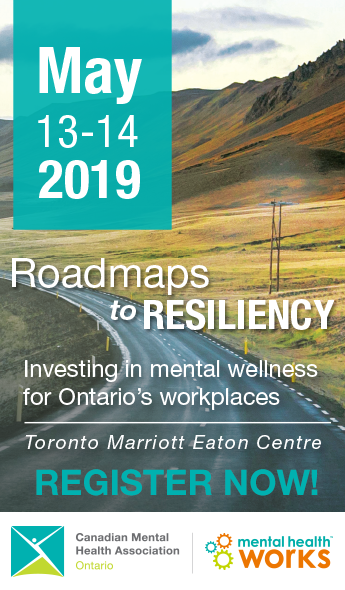 The Canadian Mental Health Association, Ontario (CMHA, Ontario) is a provincial association, committed to improving services and support for individuals with mental illness and their families, and to the promotion of mental health for all Ontario. We have 32 branches providing community mental health services throughout Ontario. CMHA, Ontario supports the government’s plan to enhance the quality of life for residents of long-term care (LTC) homes by improving care and increasing accountability. We are proposing amendments to several sections of Bill 140, An Act respecting long-term care homes, as well as recommending expanding certain sections to deal with noted omissions. CMHA, Ontario commends the duty to protect residents from abuse and neglect, as well as the adoption of a written policy to promote zero tolerance. Section 3(3) states that, “Every resident has the right not to be neglected by the licensee or staff. Similarly, Section 17 states that “Every licensee of a long-term care home shall protect residents from abuse by anyone and shall ensure that residents are not neglected by the licensee or staff.” However, Section 2 (1) does not include a definition of neglect. This omission provides no direction to long-term care homes as to what should be avoided and what rights residents can expect. Section 2 (1) should include a definition of ‘neglect’. Section 2 (1) provides definitions for certain terminology used throughout the proposed bill. However, the following terms are not defined in Section 2(1): ‘restraints’, ‘chemical restraints’, ‘physical restraints’, ‘environmental restraints’, and ‘personal assistance services’. CMHA, Ontario strongly recommends that these terms are defined in accordance with the report Least Restraints, November 2004. This document was drafted by the Ministry of Health and Long-Term Care in consultation with the Ontario Residents’ Council Association, Concerned Friends, the Advocacy Centre for the Elderly, the Ontario Association of Non-Profit Homes and Services for Seniors, and the Ontario Long-Term Care Association. Section 2 (1) be expanded to include definitions for the following: ‘restraints’, ‘chemical restraints’, ‘physical restraints’, ‘environmental restraints’, and ‘personal assistance services device’. Section 34(1) identifies restraint as part of a caregiver’s common law duty when immediate action is necessary to prevent serious bodily harm to the person or to others. In some situations, drugs and pharmaceutical agents are administered to the elderly to reduce agitation and promote more compliant behaviour. Section 24 (3) recognizes that restraining by means of administering a drug or pharmaceutical agent may also take place under common law duty of the caregiver. A resident may be restrained by physical devices if such measures are included in their plan of care. However, Section 28 (4) states that “the administration of a drug or a pharmaceutical agent to a resident as a treatment set out in the resident’s plan of care is not restraining the resident”. It is unclear why drugs or pharmaceutical agents included in the plan of care are not considered to be restraining, while physical restraints are duly advised to be in the plan of care in order to be allowable. This generates inconsistency and potential confusion. Restraint should be well distinguished from treatment, as they are inconsistently advised to be both in and out of the plan of care. Further, restraint by physical devices is only allowable when certain conditions are satisfied, which are meant to safeguard the well-being of the resident and protect them from abuse [Section 29(2)]. The allowance of chemical restraints, i.e. administration of drugs and pharmaceutical agents, come with no such safeguards. The Institute for Clinical Evaluative Studies (ICES) indicates that the over-administration of medication in nursing homes is substantial and alarming.3 Drugs and pharmaceutical agents can affect mood and behaviour and therefore achieve the same purpose through clinical or ‘therapeutic’ means, as more explicit orders to restrain. Under Section 41 (4)1, an assessment of the applicant’s physical and mental health and their requirements for medical treatment and health care must be made by a physician or registered nurse. It is imperative that mental health issues be considered upon admission and referred to a psychogeriatric specialist for a proper psychiatric assessment. Mental health needs and particularly, depression in older persons, is often not diagnosed. Doctors, nurses, and caregivers may dismiss symptoms as a natural part of the aging process or they erroneously consider depression as a normal response to a physical illness. The prevalence of depression in the older adult population is estimated to be between 10 to 15 percent in the community and as high as 30 to 40 percent in long-term care homes.4Untreated depression causes unnecessary suffering, a diminished quality of life, and can have significant negative effects on physical health. Studies suggest that depression is associated with increased mortality rates in long-term care homes.5 It is important to identify depression and other mental illness during the admission process. An assessment of the applicant’s physical and mental health, and the applicant’s requirements for medical treatment and health care. i) Mental health concerns should be identified and referred to a geriatric psychiatrist for a psychiatric assessment. CMHA, Ontario supports the development and implementation of resident and family councils. According to the bill, resident councils are mandated. However, Section 57 (1) states that ‘every long-term care home may have a family council.’ Families must be guaranteed an opportunity to collaborate with the resident council and licensee regarding services provided to their family member. Family members of persons with mental illness are valued partners in the continuum of care and support to residents. Family councils must be autonomous from the facility in order to operate effectively. It is imperative that family councils be established as autonomous entities. Furthermore, the legislation must provide for public access to information that would allow family councils and others to effectively hold operators accountable. Information available should include but not limited to financial reports on income and expenditures, reports on complaints regarding standards, level of care needs, facility funding, and compliance reports. Lastly, a third party must receive funding to be able to effectively establish and assist in maintaining the councils. Section 55 (8) be expanded to include the review of compliance reports, complaints regarding standards, and level of care needs. Every licensee of a long-term care home shall ensure that a Family Council is established and operates autonomously from the facility. Section 58 (7) be expanded to include the review of compliance reports, complaints regarding standards, and level of care needs. Screening of prospective staff and volunteers is important. However, CMHA, Ontario is concerned about the term “criminal reference check” and its application. Section 73 requires every licensee of a long-term care home to ensure that screening practices, including criminal reference checks for those over eighteen years of age, are conducted in accordance with future regulations of this Act. Unfortunately, there is considerable confusion regarding the terminology associated with record checks. There are criminal record checks, which indicate whether a person has any criminal convictions or outstanding charges in the National Repository of Criminal records maintained by the Royal Canadian Mounted Police. In addition, there are police records check. These searches are routinely requested by potential employers, volunteer agencies, recreational groups and other organizations that provide services to vulnerable persons. This check includes the disclosure of both criminal (criminal record, bail and probation conditions) and non-criminal personal information (apprehensions under the Mental Health Act, information about an individual as a complainant, victim, suspect, or witness to an occurrence, and allegations of offences where charges were not laid). CMHA, Ontario recommends that prospective employees and volunteers who will have regular or unsupervised contact with residents of long-term care homes complete a criminal reference check. We also recommend that the term “criminal reference check” be defined to clarify the nature of the information to be disclosed. The screening measures shall include criminal reference checks for prospective employees and volunteers who will have regular or unsupervised contact with residents of the long-term care home, unless the person being screened is under 18 years of age. Section 73. (2) be expanded to include a definition of ‘criminal reference check’. CMHA, Ontario commends Bill 140 on expanding training requirements for direct care staff. Section 74 (6) states that all staff who provide direct care to residents are trained in the following: abuse recognition and prevention, caring for persons with dementia, behaviour management, restraints, palliative care, and any other areas provided for in the regulations. Special training to address the care needs of residents with psychogeriatric needs must be included. Recent studies suggest that the prevalence rates of all mental disorders among nursing home residents are between 80-90 percent.6 In Ontario alone, by 2041, there could be between 164,000 to 338,000 residents in long term care homes with mental illness. Depression is extremely common in long-term care facilities. A 2005 study of revealed that 12.7 percent of long-term care residents aged 65+ suffered from major or minor depression.7 Furthermore, the incidence of new depression in long-term care settings has been estimated to be 12-14 percent per year, with about half of these cases meeting criteria for major depression. These statistics point to the importance of mental health care competency in all direct care staff. Section 74 (6) include a provision for staff training on screening and caring for persons with a mental illness. Section 88(1) identifies that the Minister may provide funding for a long-term care home. Long-term care homes experience extensive challenges in responding to the mental health needs of older persons living in their facilities. Mental health needs of residents are not factored into funding formulas, and therefore nursing care hours are inadequate to provide for the complex care needs of residents with dementias and mental illness. Furthermore, where specialized psychogeriatric resources exit, access is often times limited due to long wait lists. A provincial funding formula which factors in the true range of health needs and costs involved in providing appropriate and timely care for residents of long-term care facilities. Currently, the Ministry of Health and Long-Term Care has no established staffing ratios for long-term care homes. Prior to 1995, the required staffing ratio was an average of 2.25 hours of care per day for each resident. Currently, there is no province wide prescriptive staffing ratio. The Task Force on Resident/Staff Ratio in Nursing Homes8 recommends a ratio of 3.5 hours of nursing and personal care per day per resident.9 At present, long-term care homes have inadequate levels of regulated staff who along with their unregulated colleagues, are often stretched beyond what is reasonable, and in many cases, beyond what is safe. It is critical that that a staffing ratio of 3.5 hours be implemented in order to reach the goal of prevention of risk. Staffing levels are key to providing appropriate and timely care, reducing the risk of neglect and ensuring safety for both residents and workers. Furthermore, the government must fund and set standards for specialty units within long-term care facilities for persons with cognitive impairment and serious mental illness who have been assessed as potentially aggressive, and staff them with sufficient numbers of appropriately trained workers. A required staffing ratio of 3.5 hours of nursing and personal care per day per resident be included in the regulations. CMHA, Ontario appreciates the opportunity to submit to the Standing Committee on Social Policy. Improved care, including the delivery of mental health services, and increased accountability are imperative to improving the quality of life for residents of long-term care homes. CMHA, Ontario will support legislative reform that will make this goal a reality. Section 41(4) 1. An assessment of the applicant’s physical and mental health, and the applicant’s requirements for medical treatment and health care. Section 73. (2) The screening measures shall include criminal reference checks for prospective employees and volunteers who will have regular or unsupervised contact with residents of the long-term care home, unless the person being screened is under 18 years of age. Section 88. A provincial funding formula which factors in the true range of health needs and costs involved in providing appropriate and timely care for residents of long-term care facilities. 1. Conn, D. K., “Seniors Living in Long-Term Care Facilities,” in Writings in Gerontology – Mental Health and Aging. National Advisory Council on Aging, Government of Canada, 2002. 2. Ostbye, T., Krisjansson, B., Hill, G., et al. (2005). Prevalence and predictors of depression in elderly Canadians: The Canadian Study of Health and Aging. Chronic Diseases in Canada 26(4): 93-99. 3. Bronskill, S., Anderson, G., Sykora, K., Wodchis, W., Gill. S., Shulman, K., Rochon. P. Neuroleptic drug therapy in older adults newly admitted to nursing homes: incidence, dose and specialist contact. Institute for Clinical Evaluative Studies. 2004. 4. National Advisory Council on Aging. 2002. www.naca.ca. 5. KMPG Consulting, May 2000. “Canadian Continuing Care Scenarios 1999-2041,” prepared for the FPT Advisory Committee on Health Services. 6. Conn, D. K., “Seniors Living in Long-Term Care Facilities,” in Writings in Gerontology – Mental Health and Aging. National Advisory Council on Aging, Government of Canada, 2002. 7. Ostbye, T., Krisjansson, B., Hill, G., et al. (2005). Prevalence and predictors of depression in elderly Canadians: The Canadian Study of Health and Aging. Chronic Diseases in Canada 26(4): 93-99. 8. Research and Recommendations of the Task Force on Resident/Staff Ration in Nursing Homes, February 2002, CUPE. 9. Understaffed and Under Pressure: A Reality Check by Ontario Health Care Workers, October 2005.